1. Turn yogurt into a sieve; drain off excess liquid. 2. Whisk together drained yogurt, Mango puree, and honey until well blended. 3. Serve immediately or cover and refrigerate. If dressing is held refrigerated, whisk again to blend before serving. 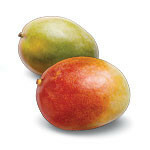 Next time, substitute White Peach, Apricot, Papaya, or Pink Guava for the Mango puree. 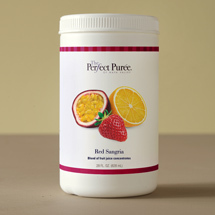 Use as a fruit or fondue dip, or as a dressing for a fresh fruit or fruited chicken salad. Also wonderful on cold salmon accompanied by slices of fresh mango and pineapple.